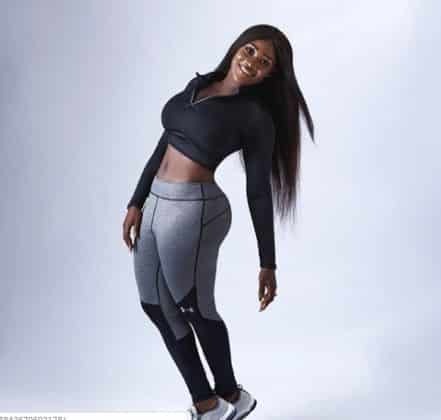 Popular Nollywood actress, Mercy Johnson has put her hourglass figure in display while showing off her workout kit. The actress took to her social media page to flaunt the her hourglass figure as she modeled various workout outfits. Her flat tummy and curvy backside couldn't be overlooked.